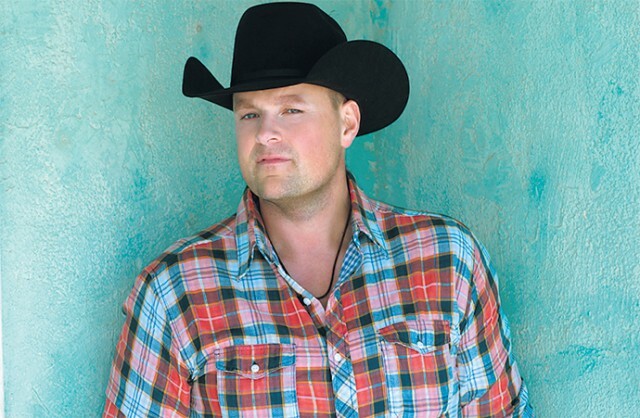 Country music star Gord Bamford may have a hugely successful career in Canada, but in his birth country of Australia he’s still relatively unknown. The three time winner of Male Artist of the Year at the Canadian Country Music Awards is onto his eighth album, but his latest – ‘Tin Roof’ – is the first to be released in Australia. Gord left our shores at the age of five and, up until recently, had a strained relationship with his Australian father. “I came over there when I finished high school and tried out for the baseball team there on the Gold Coast,” he said. After a rocky first attempt the musician returned to Australia a few years back with his wife and kids, and the pair managed to rekindle their relationship. “I was able to put the past in the past and move on with getting to know my dad, so that was kind of cool,” he said. Since then Gord’s father has had the chance to experience his son’s musical talent on stage in the heartland of country music. “He came over to Nashville for Christmas and spent about six weeks with us,” he said. Gord’s current focus is on his relationship with the Australian country music scene. After kicking off his first official tour Down Under with a spot on the Gympie Music Muster line-up in August, the country music star will be heading to the Evan Theatre next month for a mini country music festival called ‘This Crazy Life’. “Australia intrigues me more than anything,” Gord said. It took a lot of hard work to get where he is now and Gord’s not afraid to do the same in his country of birth. “I’ve had a lot of success but it’s been with lots of effort,” he said. “Building a great team of people is key and we’ve been able to do that in Canada, so I’m looking forward to building those relationships in Australia as well. The ‘This Crazy Life Tour’ will be on at the Evan Theatre on Friday, October 21 at 8pm. Tickets are $25-$40.30. For more information or to purchase tickets, visit www.penrith.panthers.com.au.